Legendary investor Jeremy Grantham is bullish on high-quality stocks and bearish on long-term bonds -- even the sovereign debt of the world's more creditworthy nations -- in a landscape otherwise bereft of outstanding opportunities. "It is always exciting for an asset allocator to work in a world where all assets are badly mispriced," writes Grantham, co-founder of Boston-based asset manager GMO, in his latest quarterly letter. "Regrettably, this is not now the case at all. The majority of global equities are within spitting distance (a technical term) of fair value." Only the S&P 500 is materially overpriced, Grantham says, as lower quality stocks are forecast to offset stronger returns from underpriced, high-quality names. Global stocks, meanwhile, currently trade at valuations that are "very slightly" expensive. "This is not exactly whoopee time, but compared to the typical overpricing of the last 20 years, it's not bad at all," Grantham notes. The interesting overpricing that does exist in global markets is in the debt markets, says Grantham. 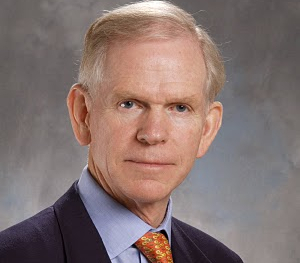 "So in asset allocation there is one great opportunity -- avoiding duration in fixed income -- and one pretty good opportunity -- down weighting most of the U.S. market," Grantham writes. "Not such a bad opportunity set, really." -- Heavily underweight U.S equities, but not the highest quality (top 25 percent) of the market, which is almost at fair price. Non-quality equities, in contrast, have a negative imputed seven-year return after their handsome rally in the last three months through to mid-February. -- Slightly overweight other global equities, which are almost at fair price, down from a little cheap at year end. -- In total, be about neutral in global equities. True, there is more than the normal fair share of potential negatives lurking around, but according to Grantham, most of the negatives are reflected in stock prices and all fixed income duration is dangerously overpriced. "This last situation is, of course, engineered by the Fed, which hopes to drive us all into taking more risk, notably by buying more equities," Grantham writes. "I hate to oblige, but at current equity prices it just makes sense to do what they want. As mentioned earlier, equities are also good long-term hedges against inflation." -- Underweight as much as you dare long-term bonds, especially higher-grade sovereign bonds. -- In the long term, resources in the ground, forestry and agricultural land are attractive, but come with the usual caveats of the risk of short-term overpricing, so average in, Grantham says.